The air we breathe is poisoned by tiny particles emitted by car engines. Every year, almost half a million people in the EU die prematurely due to air pollution. 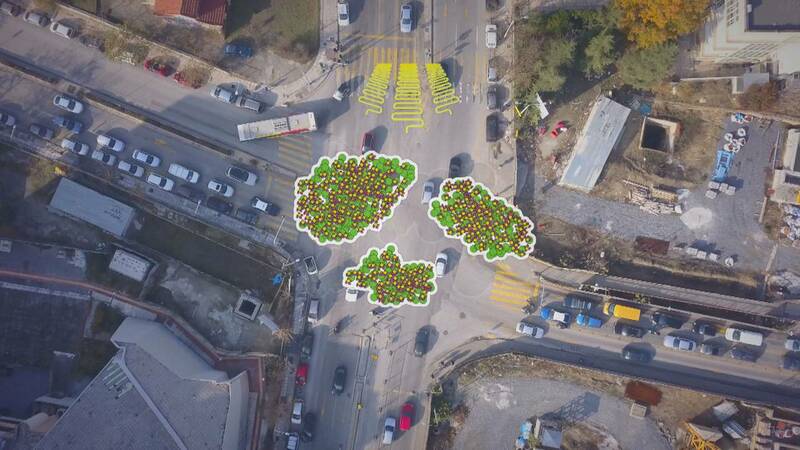 In Greece and across Europe, scientists are working on innovative solutions to try to solve the problem given that many European cities suffer high levels of pollution due to heavy traffic. Particles below 23 nanometers in diameter can get deep inside the lungs and enter the bloodstream. In the air these particles react with other compounds. Harmful substances can attach themselves to the nanoparticles aggravating heart and lung conditions. A European research project called DOWNTOTEN seeks to recreate this process in the lab. “As living creatures, we’re suffering from the consequences of these chain of reaction. So what we’re working on here is to try to better understand it. We are collecting the necessary data to assess the technologies and the fuels we use, as well as their effects on human, and non-human, health,” says Professor Samaras. For their experiments, researchers connect the test car's exhaust pipe to instruments which measure ultrafine particles. The same process that takes hours and days in the atmosphere is accelerated inside this system. In parallel, the reactions are simulated in computer models. On-board emission testing provides a better insight of real-life car emissions compared to the laboratory, so the system has been designed to fit inside a car. The test vehicle can leave the research facility and drive around the city, recording emissions in traffic. The next step is to bring the technology to the market. Researchers hope car manufacturers will use their device to develop better engines which emit fewer nanoparticles. It will also go a long way to preparing the motor industry ahead of anticipated, much tighter, EU regulations. "The goal is, for the internal combustion engine to become a zero-emission machine. That’s the only possibility for them to keep playing the role they’re playing now… Otherwise, we’ll have to get rid of them completely — we’ll have to replace internal combustion engines with other engine types,” Professor Samaras says.